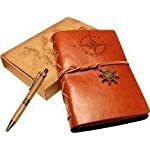 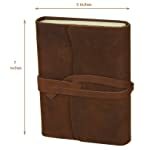 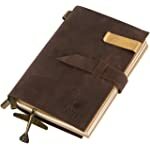 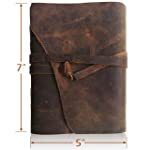 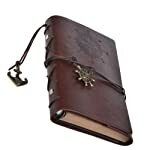 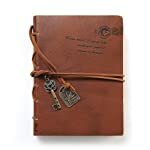 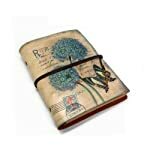 ✔ BEAUTIFULLY CRAFTED & UNIQUE: A Rustic Style Leather Journal With Wrap Closure - Hand Crafted. 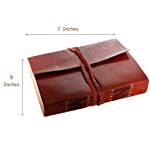 120 Kraft Aged Lined Pages. 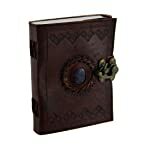 The Weathered Texture That Only Adds To Its Unique Character And Feel. 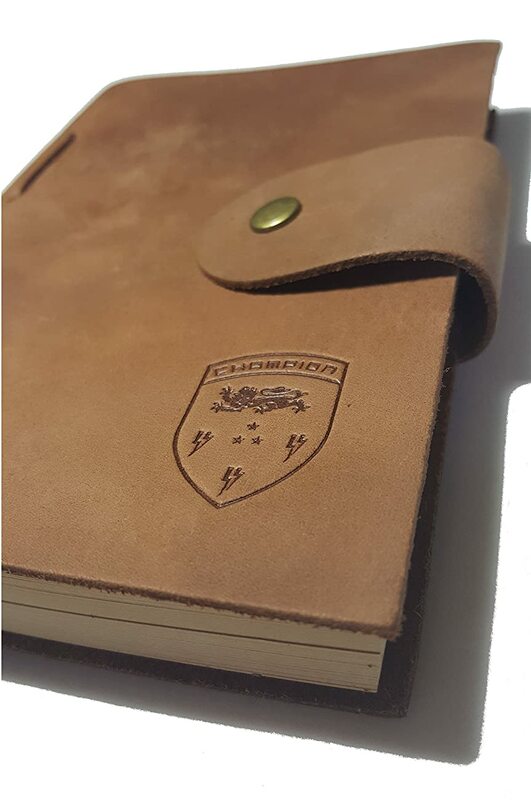 100% Hand Made. 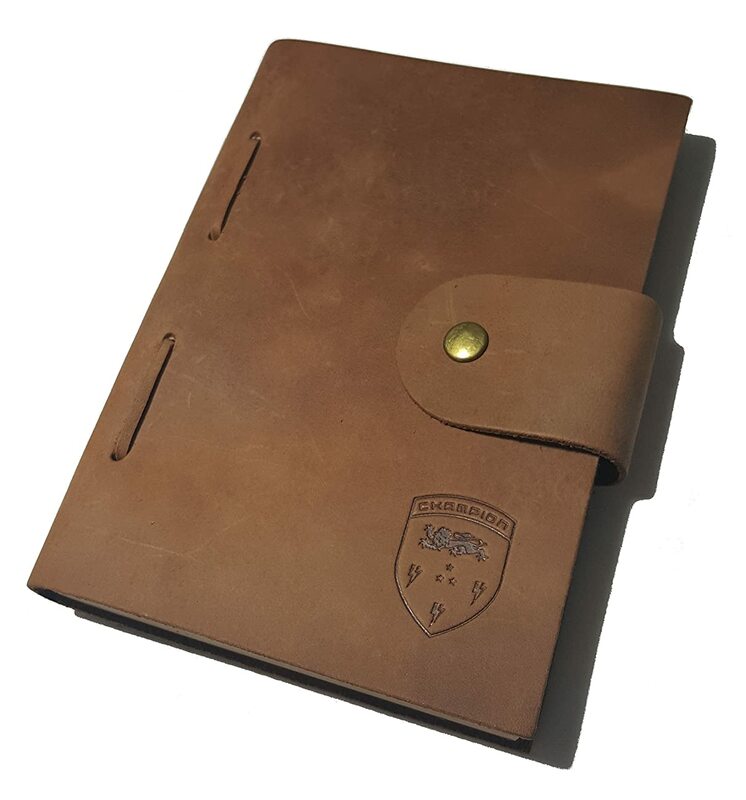 ✔ ECO-FRIENDLY: 120 Sheets/240 Pages Of Lined, Recycled Kraft Paper. 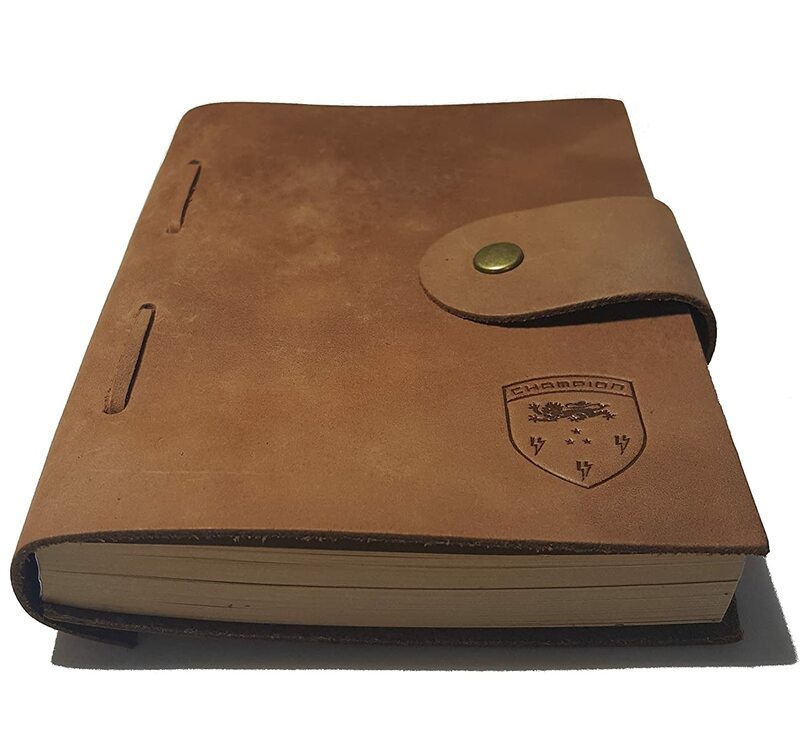 It Is Hand Crafted With Recycled Paper. 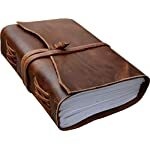 NO BLEED THROUGH: Use Any Pen On This Thick Quality Paper. 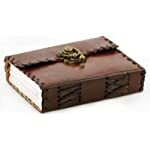 ✔ RUSTIC CHARM: Embossed Leather Journals Made Over Seven Days By Hand. 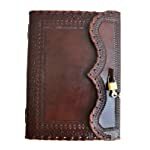 Cover: Ultra Soft Genuine Crazy Horse Leather with Antique and Rugged Edge Finish. 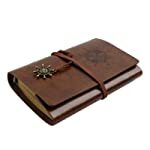 Paper Type: Handmade Aged Kraft Paper. 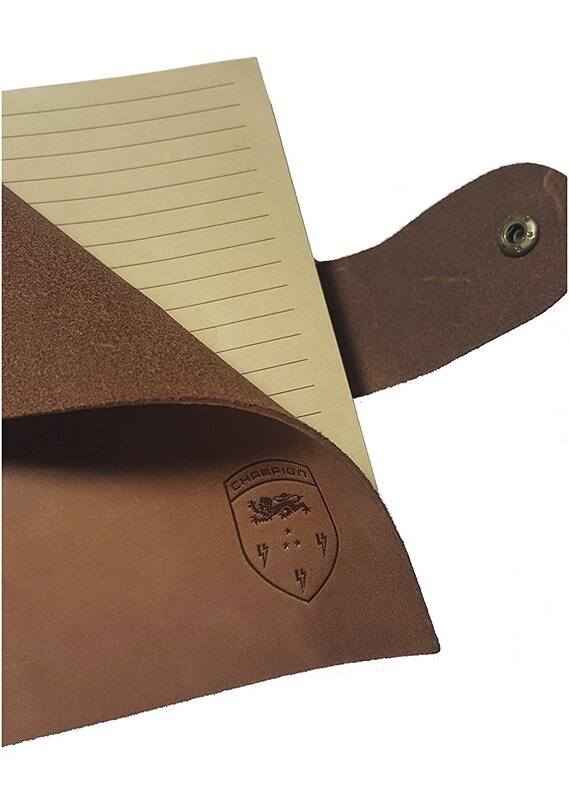 Refillable Genuine Leather Journal.